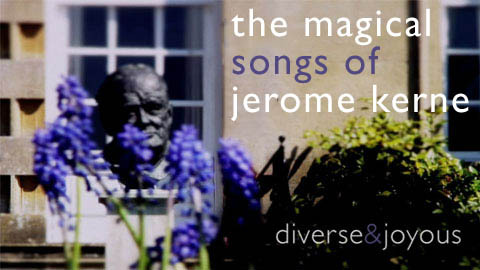 Festival founder/director Claire Bradshaw explores the lighter side of the song repertoire in this concert featuring the music of the legendary American song-writer, Jerome Kern. His hits include The Folks Who Live on The Hill, Can’t Help Lovin’ ‘Dat Man, Smoke Gets in Your Eyes, A Fine Romance, and All The Things You Are. One of the most important American theatre composers of the early 20th Century, Kern’s songs feature extensively in Broadway musicals and Hollywood films. For more information about Jerome Kern, read this highly informative article. This event has become a real festival favourite with tea and home-made cakes taken in the beautiful Dean Manor gardens after the recital. Limited audience capacity of 90 makes this an early booking must.